Asus has been struggling to decide when to announce the new ZenFone 4 family. Although previous rumors claimed the smartphones could be unveiled as early as May, it now looks like Asus will wait until fall to reveal them. In fact, the company has already started to send invitations for a launch event that will take place in Rome, Italy, on September 21. Since we already know the names of the five ZenFone 4 smartphones Asus plans to launch by the end of the year, we can confirm that the ZenFone 4V will be announced in late September. 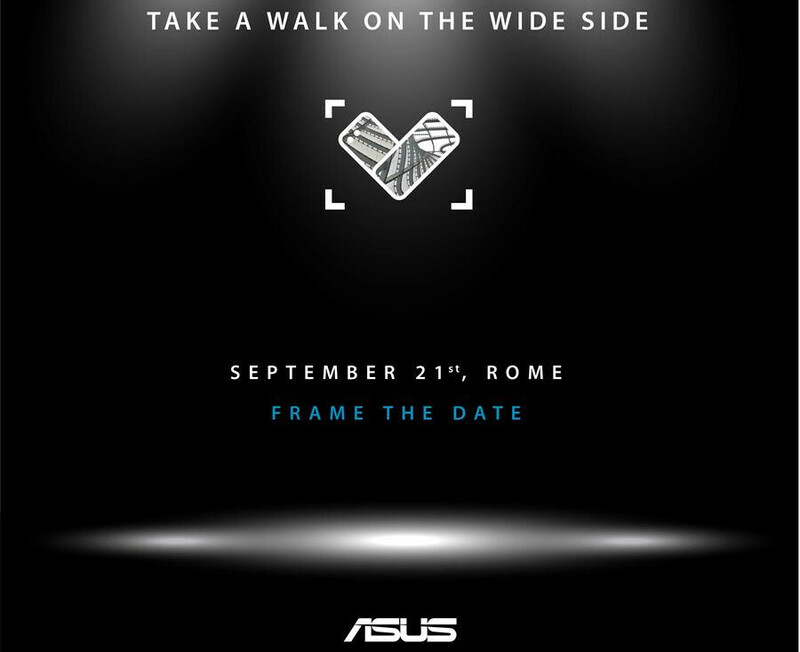 The picture above is clear evidence that Asus ZenFone 4V will feature some kind of wide-angle camera, hence the “Take a walk on the wide side” text written on the invitation. The other four Asus smartphones to be revealed in the coming months are Zenfone 4, ZenFone 4 Max, ZenFone 4 Pro, and ZenFone 4 Selfie. Unfortunately, we don't know if they will be introduced ahead or after the ZenFone 4V. Asus Zenfone used to be a good option but with Zenfone 3 series they kind of screwed up the pricing. Hope that's not the case this time.